Soulless game download. Free download Soulless for Mac. 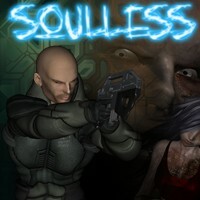 Soulless is beautiful and exciting action adventure game! As part of a Marine force sent to explore Ziltron, a research station turned Zombie headquarters, you'll search for survivors and attempt to eliminate the enemy threat without being killed yourself. Within the facility you'll discover 9 playable characters and carry out 10 missions over multiple paths and 21 possible levels. Can you survive the nightmare? Multiple Paths to Your Final Destination!